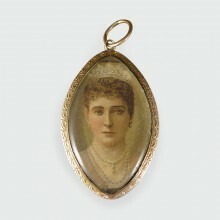 This gorgeous Georgian brooch can also be worn as a pendant, depending on the preference. It has bee.. 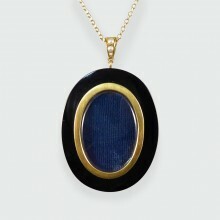 This bold antique piece features a black onyx pendant with a removable 15ct gold mounted centre, giv.. 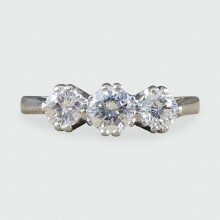 This classic antique ring sits wonderfully on the hand. 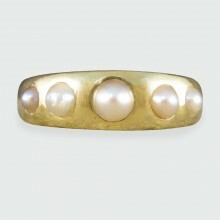 Featuring five natural pearls sat in an 18ct.. 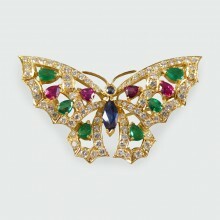 Originally created to be a pair of earrings and converted into a single pendant, which displays one .. 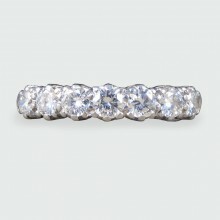 This beautiful seven stone Diamond ring has been set 18ct white gold. Featuring a level row of Diamo.. 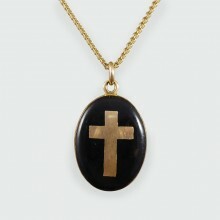 This Late Victorian locket features a black enamel cross motif and is set in 9ct gold. Opening to re.. 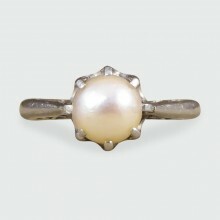 This shimmering Natural Pearl is elegantly presented in a delicate and finely detailed platinum soli.. 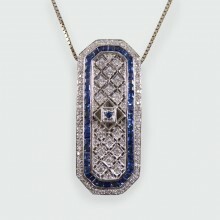 This antique pendant was crafted in the Early Victorian era. 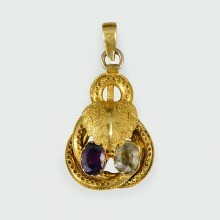 It comprises of a 9ct yellow gold mount.. 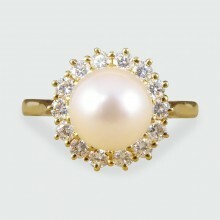 This wonderful contemporary cluster ring features a single pearl surrounded by diamonds. Modeled in.. 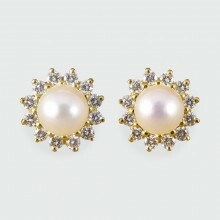 These pretty pearl and diamond flower cluster earrings are perfect for everyday use. Bright and spar.. This fascinating brooch features a butterfly with a double sapphire stone body and diamond, ruby and..
Light up your look with this gorgeous gemstone contemporary ring in modeled in platinum. Featuring t.. 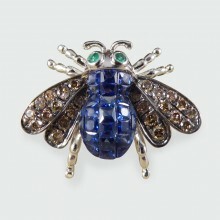 This intriguing modern ring features a gemstone bee with a body made of calibre cut sapphires, cogna.. 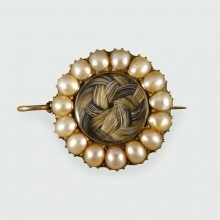 This mid Victorian brooch has been set in 15ct yellow gold. 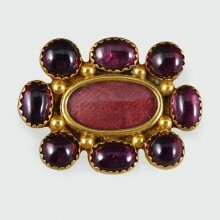 Featuring eight cabochon garnets surroun.. 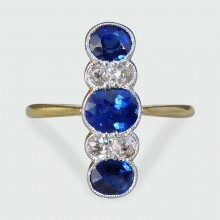 This stunning seven stone ring was crafted in the Edwardian era in 18ct yellow gold and platinu..